Using mail order for drugs when traveling? 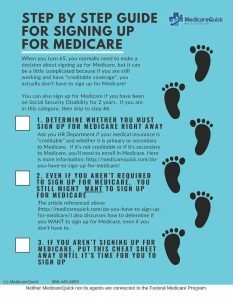 Think twice if you are on Medicare. The other day I got a call from one of my clients regarding Medicare Part D. He and his wife travel a lot, so we had originally talked about a Medigap plan (Medicare Supplement Insurance Plan) with a Medicare Drug Plan. My client purchased the plan and then went on a yearlong trip. “So far so good”, I thought. Medicare Supplement Plans will cover any doctor in the United States that accepts Medicare Part B. The Drug Plan will allow you to purchase medications in any state in the USA. Six months after enrollment my client sent me a message that the insurance company canceled the Part D plan. I couldn’t believe it. Why did the insurance company cancel his Medicare Drug Plan? It turns out that my client had been using mail order for drugs when traveling. When he travels, he usually stays a few weeks or more, so he would use the RV Park where he stayed as the mailing address to get the drugs, and whenever they went to a new place they would get a new address. Using mail order for drugs when traveling is not advised. Yes, I know that there is typically a savings involved in using mail order, but it’s not worth it if you are traveling for an extended period in your RV. Let me explain why. Medicare Drug Plans (Part D) and Medicare Advantage Plans (Part C) have coverage areas. What this means is that you must purchase a plan based on where you live. If you move outside the area, your plan will be canceled. You have to get a new plan in your new coverage area. Medicare Advantage Plans typically don’t even allow you to obtain non-emergency services out of the area, but you can normally purchase medications outside of your area as long as the pharmacy is in-network. You can use mail order when you are staying at home, but using mail order for drugs when traveling can cause you to lose your coverage. 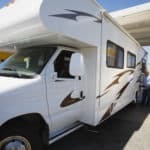 Typically people who have a home base, but travel in RVs for extended lengths of time would want to obtain a Medigap plan and a Drug plan so that they can obtain regular checkups and other non-emergency care while on the road. Pick up your medications at an in-network pharmacy. If you do this you can avoid cancellation by your insurance company. Insurance companies aren't set up to handle nomads. Make things easy on yourself and the insurance company. Pick up your medications at a physical pharmacy. The insurance company must cancel you if they suspect that you have moved. You'll have the hassle of trying to get a new plan set up while you are on the road. What's my advice about using mail order for drugs when traveling? Don't do it. Stick to brick and mortar pharmacies when embarking on long RV trips. For more information on Part D drug plans, call us at 866-445-6683 or contact us HERE.